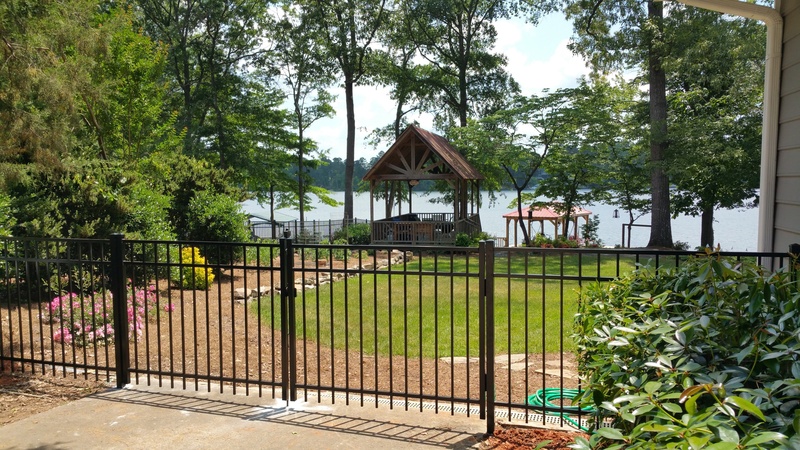 Aluminum fencing is designed to be aesthetically pleasing to the eye, and an alternative to the black wrought iron fencing from back in the day. 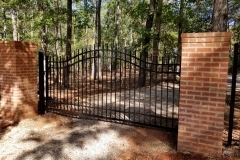 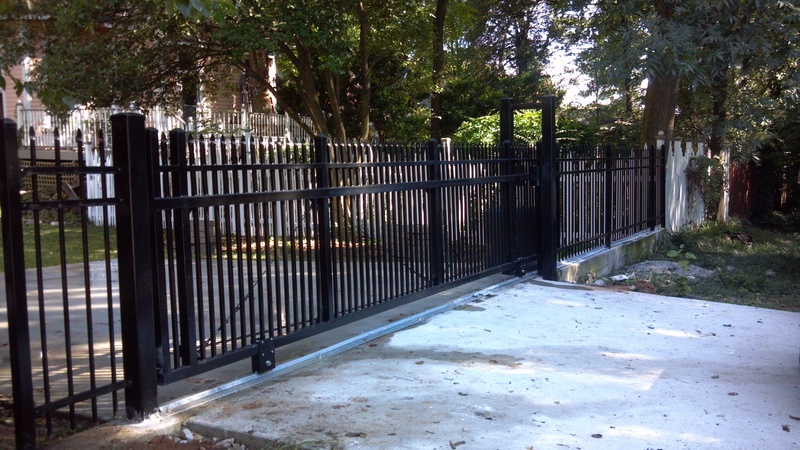 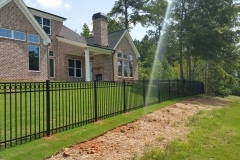 The black wrought iron fence is a favorite fence style for security with an open air view. 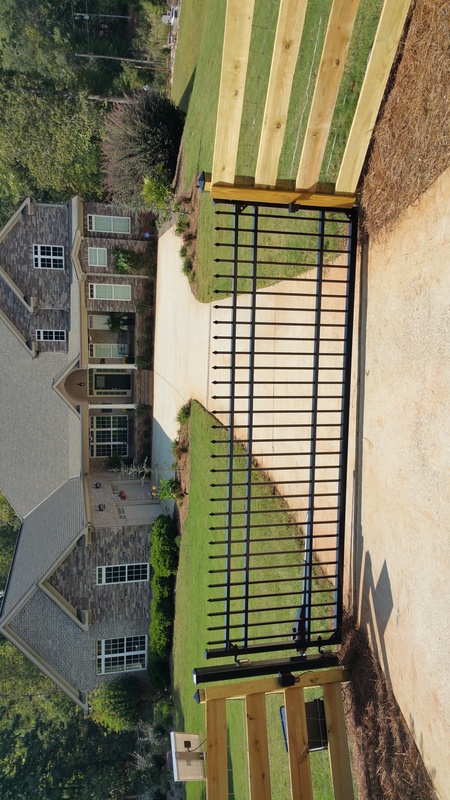 The downside of the wrought iron is the absolute certainty of constant rusting of the metal and the high cost of continued maintenance to keep that sharp look. 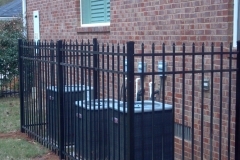 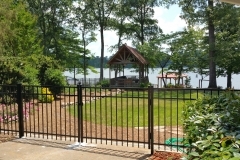 Aluminum fencing resembles the wrought iron and has no maintenance issues. 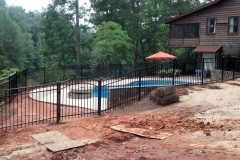 That means no sanding, priming, or painting. 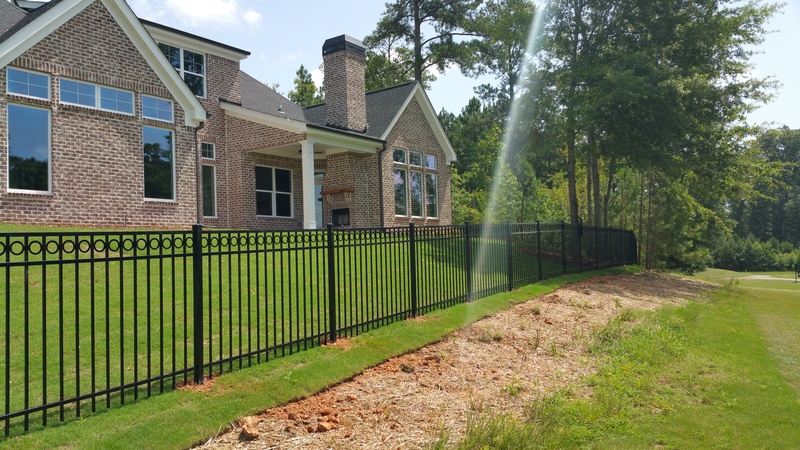 Aluminum fencing will come in sizes from 3′ high to 8′ high with the most popular residential aluminum fencing being 4′ and 5′ high. 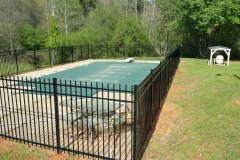 Picket spacing is also variable with the most common spacing of less than 4″ to make it pool code compliant for spacing. 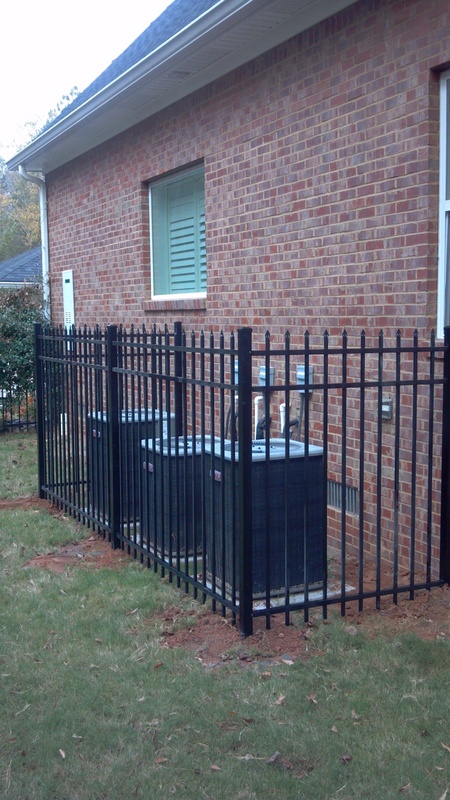 We also have many customers with small dogs that prefer a tighter spacing of 3″ between the aluminum fence pickets. 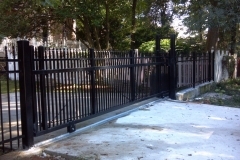 With all the variations in total footage, height and picket spacing and gates it is impossible to give a specific price for all fences so I will give you a range in pricing for a normal size residential aluminum fencing. 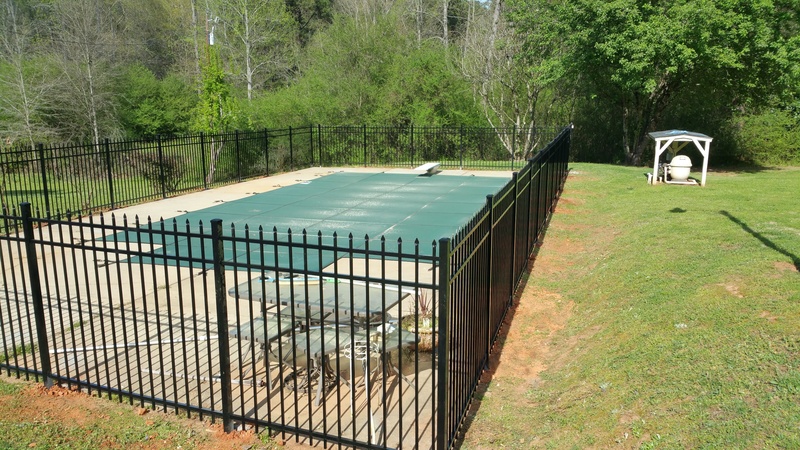 Taking time into consideration, the zero cost of maintenance for an aluminum fence over 5 to 10 years makes it an easy decision for consumers. 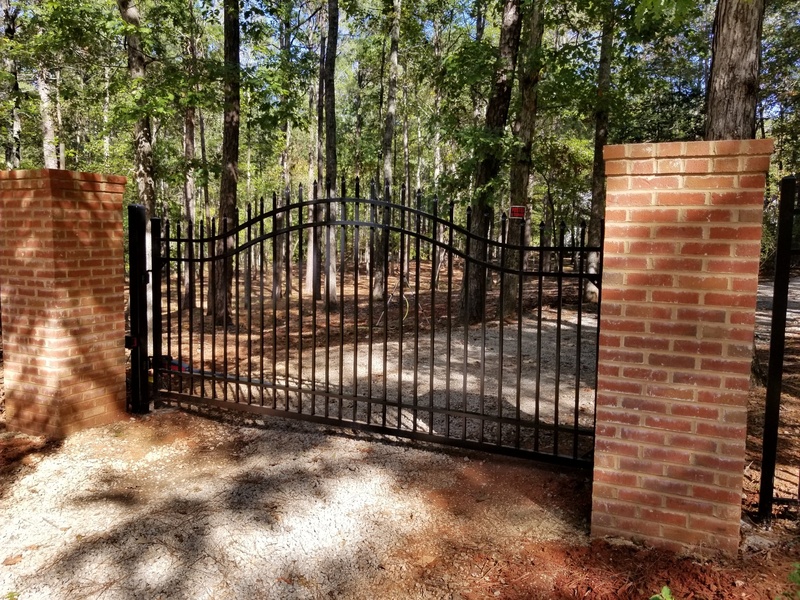 Even after 10 years ownership and no maintenance the actual ROI on aluminum fencing is 65% vs less than 10% (plus all maintenance costs) for natural wood fencing.